Scheduled classes will be Monday and Wednesday starting at 6pm. Class times and dates may vary based on group consensus. Whether you’re interested in learning the basics to see if it’s something you’d like to get more into; or if you have been tying for years and are looking to learn the tricks of the pros we’ve got a class for you. Most classes are taught by Boots Allen with occasional guest experts like Will Dornan. Our very own lead guide, Boots Allen, will walk you through the classic and modern innovative flies of the region. He is the author of Snake River Flies, Snake River Fly-Fishing: Through the Eyes of an Angler-Guide and Modern Trout Fishing: Advanced Tactics & Strategies. Boots is well known for his creative dry flies and streamers and has developed patterns for Montana Fly Company, Umpqua Feather Merchants and the Orvis Company. His knowledge of entomology provides an excellent platform to educate students about the lifecycle of insects and how to identify and imitate different stages. Boots Allen is a third generation fishing guide whose family has significantly contributed to the development of the fly fishing industry in Wyoming since the 1920s. Boots also has extensive experience tying flies for many species, from Steelhead to Tarpon. 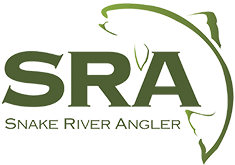 Some courses may also have another instructor, Will Dornan, Owner and Operator of Snake River Angler. 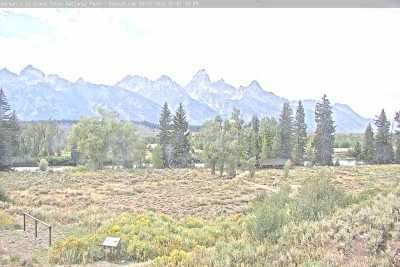 Several generations of ranching and fishing in Jackson Hole has given Will a wealth of knowledge about the Snake River and the surrounding areas. Will has developed some of the most unique and innovative flies for the Snake River; including Dornan’s Circus Peanut, The Water Walker, Willy’s Red Ant, Parachute Hecuba and more. He has designed numerous flies for Umpqua Feather Merchants, Solitude Flies, Yellowstone Fly Goods and Montana Fly Company. When will isn’t tying freshwater bugs he draws on his years of experience chasing Bonefish, Permit and Sailfish in the tropics to tie up successful saltwater flies. What to bring? Just a vise and whatever tying tools you might have. We provide the materials for tying the flies highlighted each week.